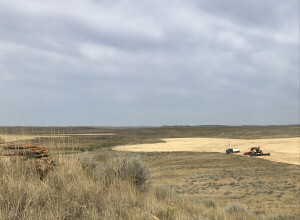 Jordan, Montana - The cleanup has begun. When I make that last round and climb down the ladder for the last time, it never fails to create a ping in my soul. I don't even know if the word, "ping", is the correct way of defining the feeling that happens. Why does this happen? I know I'm not the only one who feels this way. Sometimes, I really wish I was like others who do a little happy dance when it's over. Instead, I'm always wishing there was just one more field to head to. And just like that..the last pass is made, and wheat harvest 2018 is over for Jones Harvesting. Can that be possible? Did we really finish North Dakota in only 7 days? Amazingly, yes. 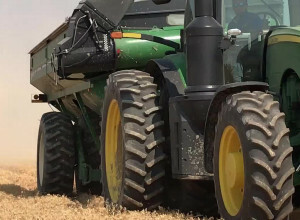 Watch the video bellow to catch the harvesting action from the combine cab and the completion of the last field. 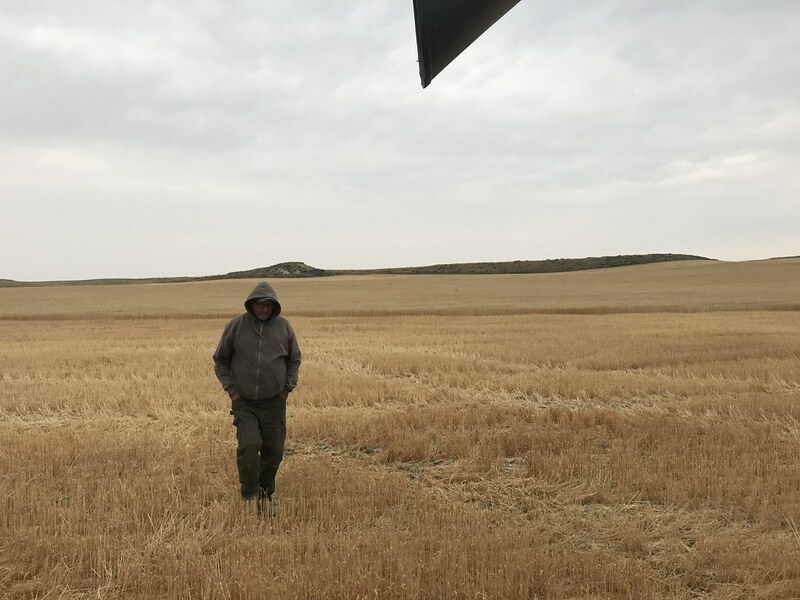 Then continue reading on for a detailed account of the final days of harvest 2018 for the crew. 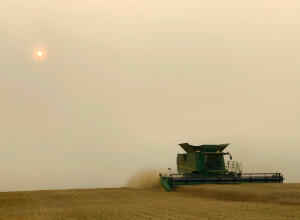 Grand Forks, North Dakota – Canola is one of my favorite crops to harvest. We’ve been blessed with several beautiful days here in North Dakota to cut canola. We use pickup headers to pick up swaths of canola but this year we are straight cutting every acre and the pickup headers have stayed in the shed. It’s been hot and dry and the canola fields were sprayed prior to harvest. 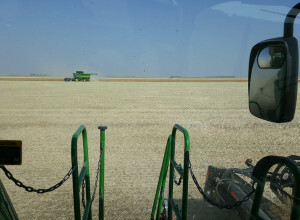 Minot, North Dakota: The crew recently finished harvesting durum wheat in the Minot area. It is amazing how crops can change from one year to the next. This year, yields are very strong. The crew has seen them range from the mid 50’s all the way the 80 bushel per acre range. People have noted that the quality of the durum is also very good with this crop. Trucks are rolling into on farm storage here as well, so additional stats are unavailable. 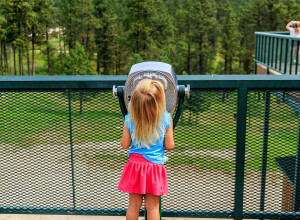 Kansas, Montana, North Dakota: The littles and I recently traveled home from the harvest trail. With a day and a half shy of being away for four weeks, a pile of office work would surely be waiting, and routines needed to be implemented prior to school starting. 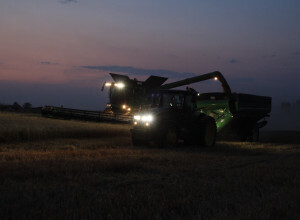 It takes a little bit to transfer from harvest time to home time! The worlds are completely different.